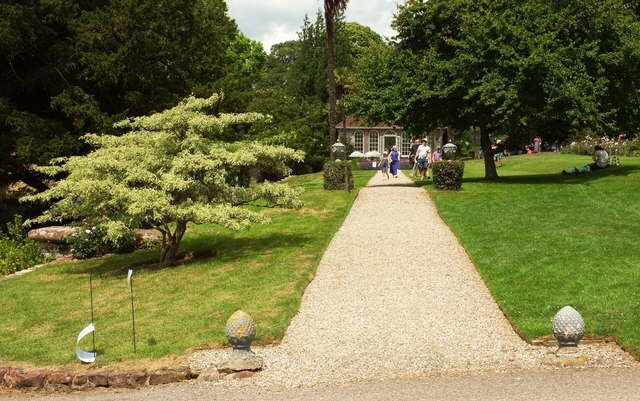 "An axial walk, partly lined by an avenue of Chusan palms, extends c 40m south from the orangery between large beds of lavender. Forming a terrace above a service drive to the east of the chapel, the orangery walk is terminated to the south by a pair of low stone piers " Link . Leading away from the entrance drive round to the south side of the house. The orangery is listed and described at Link : " Probably early C19 ... An attractive garden building ".